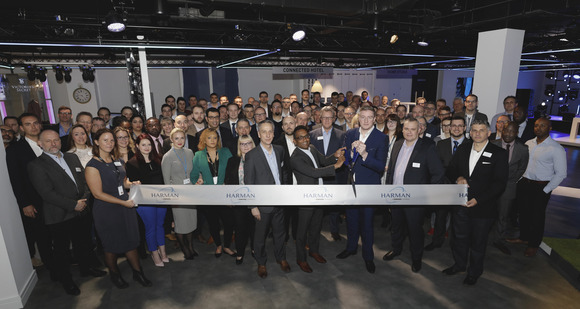 NAMM WINTER SESSION, ANAHEIM, CA, January 20, 2005 -- DigiTech®, a leading manufacturer of guitar signal processors, and a Harman International company (NYSE-HAR), debuts the DF-7 Distortion Factory™ pedal. With the new DF-7, DigiTech has modeled seven of the all-time greatest distortion and overdrive stompboxes and packaged them in one convenient effects pedal. Designed for guitarists looking for a wide variety of tones ranging from mild to wild, the DF-7 Distortion Factory models all the nuances, drive and vibe reminiscent of the original seven pedals, including models based on the Ibanez® TS-9 Tube Screamer, DOD® Overdrive/Preamp 250, Boss® DS-1, Pro Co Rat™, Boss® MT-2 Metal Zone®, DigiTech's own Metal Master™, and Electro-Harmonix® Big Muff Pi®. Model one is based on the Ibanez® TS-9 Tube Screamer -- famous for delivering a warm natural tube overdrive sound, this setting is ideal for boosting the guitar's signal without adding a lot of distortion. Model two is based on the DOD® Overdrive Preamp/250 -- delivers a smooth overdrive/distortion typical of the legendary guitar sounds of the mid-70's. Model three is based upon the Boss® DS-1 Distortion -- one of the most famous all-purpose distortions with plenty of gain yet maintaining the dynamic nuances of your guitar's tone. Model four is based on the Pro Co Rat™ -- the perfect blend of warm growl to edgy punch makes this a versatile distortion. Model five is based on the Boss® MT-2 Metal Zone® -- a high gain modern stack distortion for today's metal guitarist. Model six is based upon the DigiTech® Metal Master™ -- this top selling distortion pedal model features a solid midrange boost for an incredible sustaining lead tone with great harmonics and easily controlled feedback. Model seven is based on the Electro-Harmonix® Big Muff Pi® -- experience that great 60's retro fuzz tone with this model. The DF-7 Distortion Factory features include a seven position Model knob, as well as dual amp and mixer outputs with DigiTech's award winning CIT™ cabinet modeling, allowing direct connection to mixing consoles utilizing a variety of popular speaker cabinet models. Plus the DF-7 is the first X-Series to feature three dual concentric pots for Gain, Level, Low, High, Mid, and Mid Frequency EQ controls. Housed in a rugged cast-metal enclosure with a unique carbon-fiber look, the DF-7 Distortion Factory has a non-slip rubber base and is built to withstand years of rigorous use. 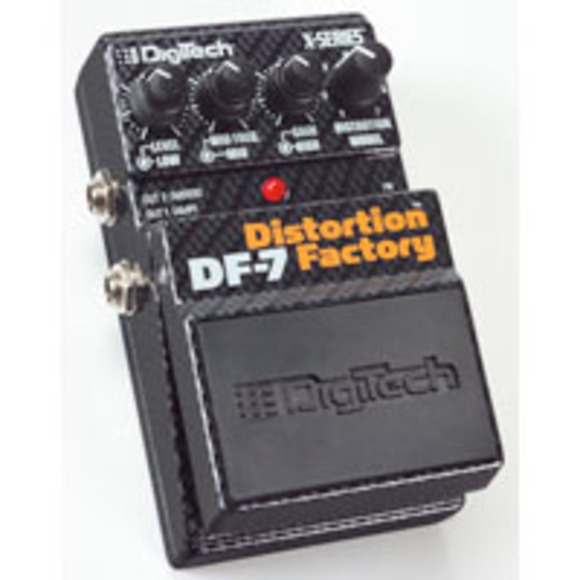 Powered by a 9 Volt battery or optional DigiTech PS200R Power Supply, the DF-7 Distortion Factory is available immediately at authorized DigiTech dealers and comes with a one-year warranty, supplemented by an additional five years of coverage with a mail-in or online registration. DigiTech®, Metal Master™, DOD®, Audio DNA™, X-Series™, DF-7 Distortion Factory™ and CIT™ are trademarks of the Harman Music Group Inc. Other names used in this document are trademarks of their respective owners, which in no way are associated or affiliated with DigiTech. These trademarks of other manufacturers were used to identify products whose sounds were reviewed in the making of this product.